Air travel in India has grown at a staggering rate in recent years. 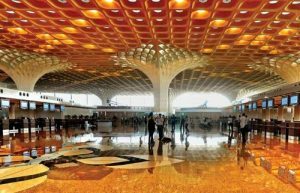 With more Indians than ever flying, states in India are building new airports and upgrading old terminals to create facilities capable of handling tens of millions of passengers and are still continuing as capacity is being stretched. Here’s a list of most awesome international airports in India. India owns some of the best airports in the world and more are on their way to boost the air connectivity between major metros and ease congestion in existing older airports. Older airports are being overhauled to mold and create some of the existing terminals into a new structure with new parking garages, food courts, plus a arrivals and departures building. The difference between a domestic airport and an international one is that the international airports require customs and immigration facilities to handle international flights to and from other nations. Indian International Airports are typically larger than domestic indian airports and often have longer runways to accommodate the latest and more heavier aircraft commonly used for international and inter-continental travel. Operation of international flights by various airlines to different destination depends on the passenger load the airports can generate. Since a large indian diaspora is working in the Gulf countries, many airlines have daily international flights to and from gulf region. However, flying via the Gulf countries provide many convenient connection flights to a number of countries like united states and europe, provided by major Gulf airlines through their Hubs in Dubai, Abudhabi and Doha. International airports sometimes have dual purposes : military as well as commercial (civil enclave for civil aircraft and civil aviation related services). copyright © India Airports. All rights reserved. India Airports is not responsible for content on external web sites.